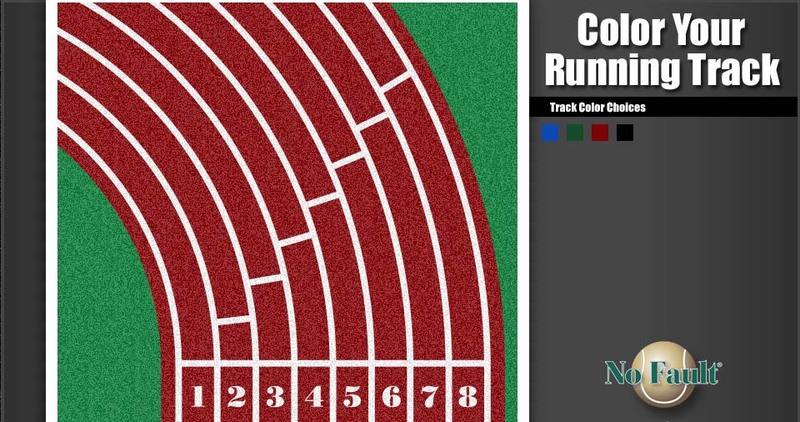 Indoor or outdoor facilities, No Fault provides a system to meet athletic performance with durability. 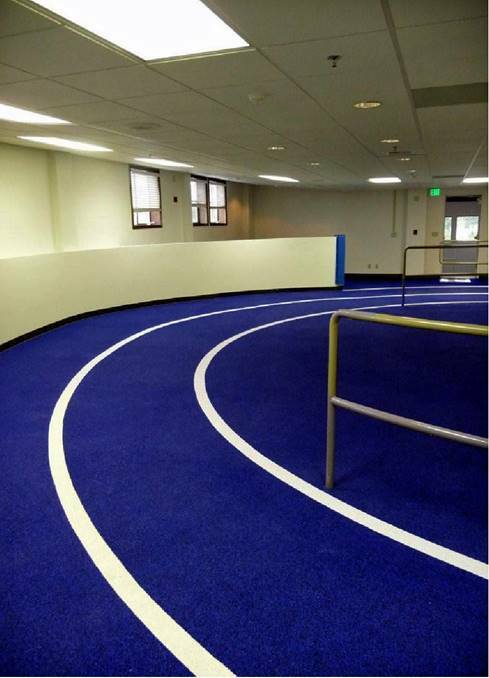 No Fault Safety Surface for jogging/walking tracks is comprised of EPDM or TPV rubber granules and polyurethane binder and is professionally installed with a single pour system. Our product is hand-troweled using a screed rod to provide a resilient seamless rubber surface with a consistent depth throughout. The result is a highly durable, permeable, slip-resistant surface providing cushion-like comfort in an unconventional pallet of colors combinations. Latex: This is a four (4) layer system with each layer of EPDM rubber granules evenly graded and bound with fortified latex binders. Regulation lines (white). Polyurethane: This system is comprised of a polyurethane bound black rubber base mat layer and two (2) structural coatings of polyurethane based pigmented binder and encapsulated pigmented EPDM rubber granules for a depth of 3/8”. Regulation lines (white).